Mobile Roulette | Play 100% £200 Deposit Bonus & Win Big! 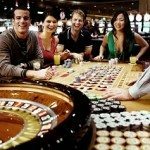 Roulette is the most popular of all casino table games. In land-based casinos, it is a game of crowds. Players have to line up in order to take their place on the table. Nowadays, there is no need to go to crowded casinos and queue for your chance to play. Through your smartphone, mobile or PC; you can still enjoy the best of this game. All you need to do is to download the Mobile Roulette App so that you can play anywhere, anytime. Gone are the days when you had to be tethered to your table while playing Roulette! With the advent of the Internet and mobile devices, you can now play mobile Roulette games online on your mobile device. 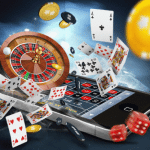 Mobile Roulette is not different from any other form of normal Internet gambling! The only difference is that it is more convenient – given the fact that it can be played on the go! Lucks Casino brings you mobile Roulette with high-tech software for your pleasure. Join us today and play for real money. 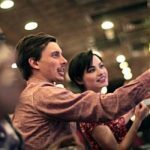 Opportunity to play free Roulette on a mobile phone. Mobile Roulette deposit bonus games. Can One Account Be Used For Playing Non-Mobile And Mobile Roulette? Yes. We, at Lucks Casino, have both mobile and non-mobile Roulette. On the same note, you can maintain all your log-in details across the two platforms. Our Roulette is available both on desktop and mobile. Can Slow Internet Affect My Gaming Experience? Mobile Roulette is most often affected by slow Internet speed. However, when you play our Roulette on your mobile, you won’t be affected by network intermittence or slow connection. Is Playing Via An App Better Than Playing Via A Mobile Site? Sincerely, there is no difference here. However, the mobile site maximizes your gaming experience. 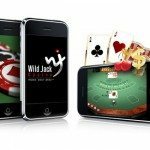 You will have the opportunity of playing mobile-centric Roulette that has been optimized for your smartphone or tablet. 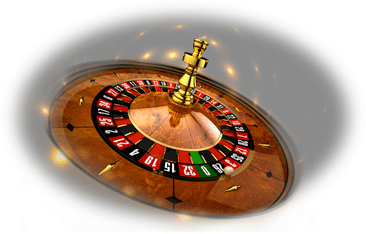 The other advantage that puts mobile Roulette on the top is that it is 100% optimised for mobile gaming. Can I Play Live Dealer Roulette At Lucks Casino? The live dealer Roulette at Lucks Casino can be played both on your desktop and mobile handset. Join us today for a chance to play Roulette on mobile for free. Does My Phone Support Mobile Roulette? As long as your phone has a mobile browser, you can use it for playing online Roulette at Lucks Casino. Generally speaking, Android, Blackberry, iPad, iPhone and other smartphones are fully optimised for mobile online Roulette. Those who still carry big bricks from the 90s might not be lucky here, anyway! How Much Data Will I Use Playing Mobile Roulette? Data usage is usually the same as what you spend while browsing normally on your tablet device or smartphone. However, in order to avoid being surprised by a high data bill, it is important that you carry research about how much data is required in order to play at a site per hour. Is The Customer Service At Lucks Casino Any Better? Lucks Casino has taken the gambling industry by storm. First, you will have the opportunity to enjoy the best entertainment online. Secondly, there are many bonuses and promotional offers that will definitely thrill you. To crown it up all, there is a dedicated team of customer servicemen at the site willing to answer your queries 24/7. Join Lucks Casino now and play online Roulette free mobile games. Contact us via e-mail, phone and live chat. Come join Lucks Casino today for a chance to play the best mobile Roulette with us.